Scientific Name: Cinchona spp. (C. officinalis, C. ledgeriana, C. succirubra). Linnaeus named this genus of tree species after the Countess of Chinchon, according to legend, promoted the use of the medicinal bark after she herself was successfully treated for malaria in the 1630s. The scientific name was later modified from Chinchona to Cinchona, which is the accepted spelling today. Other Common Names: Peruvian bark, quinine, Jesuit’s bark, chinchona, fever tree, kinakina, quina-quina, quinine bark tree. Distribution and Habitat: The native range of cinchona species are the lower to mid-elevations of the Andes in South America. Cinchona is the national tree of both Peru and Ecuador. Supposedly, the planting of cinchona trees outside of South America was initiated by the Jesuits, who had long collected the bark in Peru and promoted its use wherever there were Jesuit missions. The constant need for malaria medicine motivated the British and Dutch to bring cinchona to their colonies by smuggling it out of the Spanish colonies and establishing plantations in Asia. Chinchona bark is best known as the source of the anti-malarial drug quinine and is now cultivated throughout the tropics, including regions of Africa. There are 38 known species in the genus. At least three of these species (C. officinalis, C. ledgeriana, C. succirubra) have a high enough concentration of quinine alkaloids to be cultivated commercially for their medicinal value. Description: Species of cinchona are all evergreen, with waxy, dark green leaves resembling other species of the Rubiaceae family (such as coffee). They may be shrubs or trees, up to 15 m in height. The flowers are produced in panicles and may be white, red, or pink depending on the species. Plant Parts Used: It is the bark of the tree that is used in herbal medicine and is sourced for drugs. The bark is stripped from the tree, dried, and ground into a powder. In the cinchona bark plantations, the trees that are stripped regrow some of their bark and are harvested again before they are cut down. In cultivation, it is sometimes a practice to grow moss on the cinchona trees. This seems to increase the concentration of alkaloids in the bark. The medicinally active compounds in cinchona bark are mostly alkaloids. In addition to the familiar antimalarial alkaloid quinine, there is its stereoisomer quinidine, used in cardiac medicine, as well as other pairs of alkaloids that are useful building blocks in synthetic chemistry: cinchonine and cinchonidine, and dihydroquinidine and dihydroquinine. Cinchona bark also contains a tannin, cinchonic acid, which is used to perform protein assays in laboratory work. Quinine has been synthesized in the laboratory since 1944; however, it is still often sourced from the cinchona trees. It is also used as a bitter for food and drink flavoring. The native Quechua people, living in what is now Peru, had been using the bark of cinchona trees for treating hypothermia and fever and this is what led to its development as a drug for malaria. The Jesuits in colonial Peru, knowing of the local use of cinchona for treating fever, began to use concoctions of the powdered bark to treat malaria patients, beginning in the 1630s. The active ingredient against malaria, the alkaloid quinine, was isolated in the 1820s, prompting further cultivation of trees, especially C. ledgeriana and C. succirubra. In the 1940s, after the active alkaloid was isolated and identified drug companies were able to develop synthetic quinine. Some strains of malaria have become resistant to the synthetic quinine which has instigated renewed interest in sourcing natural quinine from cinchona. 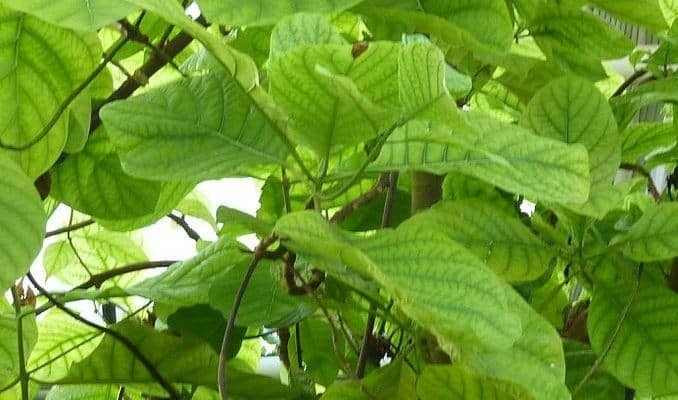 In treating malaria, the mode of action of cinchona bark may be both antipyretic (anti-fever), and antimicrobial; that is to say that cinchona might be treating the symptoms of the infection, i.e., the fever, while also combating the microorganism itself. The microorganism that causes malaria is called a protist and not a virus or bacterium. The mechanisms by which quinine interferes with the protist are becoming more clear with advanced research. The protozoan parasite Plasmodium falciparum, one of five species of protists that cause malaria in humans, has developed resistance to other malarial drugs, sometimes within a year of the drug being introduced. In contrast, quinine remains effective even today, after centuries of use. The protist’s resistance to quinine appears to be only “low-grade”, meaning that quinine does retain some delayed or diminished action against it. The blood and cardiac disorders that have traditionally been treated with this medicinal herb are anemia, varicose veins and irregular heartbeat (arrhythmia). In the case of arrhythmia, there is an extensive laboratory and clinical evidence to support these claims and some prescription medicines for arrhythmia are in fact derived from cinchona. It was not until 2010 that British scientists successfully synthesized quinidine in a lab. Until then this prescription drug used to treat arrhythmia was derived from quinine, extracted from the plant. Digestive disorders that are supposedly remedied by the use of cinchona bark are dyspepsia (stomach upset), anorexia, gastrointestinal disorders, diarrhea, gallbladder disease, and even flatulence. There are few, if any, scientific studies that would either support or refute these claims. The antiseptic qualities of cinchona bark have been recognized by native people of the Americas for centuries. In modern research, the antimicrobial activity of compounds found in cinchona bark was found to depend on the virus or bacterium in question and the actual compounds. Certainly, the alkaloid quinine is an effective treatment against the malaria virus. There is less evidence that cinchona bark is useful as a general antimicrobial agent, i.e., antiseptic. Although cinchona bark is often cited in the ethnobotanical literature of it anti-bacterial properties, the scientific evidence is mixed. Indian researchers, found that cinchona bark was effective in treating these common bacteria: Staphylococcus aureus, Bacillus cereus, andEscherichia coli but not Streptococcus ß hemolytic and Pseudomonas aeruginosa. The cinchona was effective in killing the yeast Candida albicans. Biofilms are whole surfaces of micro-organisms (bacteria, yeast cells, or slime) that stick together and undergo cellular changes. They are much more resistant to most available antibiotics and so have attracted the interest of drug researchers. 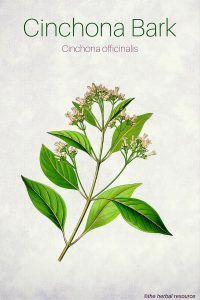 The cinchona alkaloid cinchonidine was tested against Staphylococcus aureusbiofilm and found to be inactive; whereas a synthetic chemical derived from cinchonidine was effective. It should be noted that antibiotic drugs, whether natural or synthesized, are highly specific to the particular species and strain of microorganism. Therefore, no general conclusions can be drawn one way or the other from these handfuls of studies on whether cinchona is an effective general antibiotic. Cinchona bark has been used in traditional herbal medicine to treat muscle spasms. This traditional use of cinchona bark has prompted medical studies. There are a few reports of the successful use of cinchona in treating painful leg cramps and spasms, with only tinnitus as a side effect. The mode of action is unknown, largely because it is not certain what (at the chemical level) causes muscle spasms in the leg. The Journal of Family Practice conducted a review of the literature in 2008 and found that there is no clear evidence that quinine salts are an effective treatment. Most doctors recommend general painkillers to alleviate the symptoms. Another interesting possibility for cinchona as an herbal remedy is in healthy weight maintenance. Cinchona has been used in traditional medicine as an appetite stimulant. It may also help in weight loss — though not through the suppression of appetite. The possible medicinal value of quinine as a weight control herb was investigated in the 1970s in experiments with rodents but there is renewed interest in cinchona for this purpose. A very recent study (2013) showed that the herb suppressed weight gain without affecting appetite and food consumption in adult male mice. The mechanism may be quinine’s interference with nutrient absorption in the intestines, although the mice did not “appear” to be malnourished. The treatment of malaria is certainly what cinchona is best known for. However, there are a number of other health complaints that have been treated with this herbal remedy. Some, but not all, of these conditions have been shown in laboratory and clinical studies to respond favorably to treatment with cinchona compounds. There are a variety of health problems that have been traditionally treated with cinchona bark. It should be remembered that it is often the case that a medicinal plant containing one or more highly effective compounds is then reputed to cure a host of illnesses and becomes a panacea. Among the list of other maladies purportedly treated by cinchona are: hair loss, alcoholism, hemorrhoids, enlarged spleen and the common cold. As is often the case with either natural or synthetic drugs, the more powerful the medicine the more likely there will be harmful side effects. The possible side effects and complications from even moderate use of the two most potent alkaloids of cinchona—quinine and quinidine—are as follows: blood disorders such as hypoglycemia and blood thinning, hepatitis, vertigo, hearing loss, and heart trouble. The elderly are particularly sensitive to these complications. For this reason, artesunate, a proprietary pharmaceutical, as well as some other medicinal herbs are currently being tested as alternatives to quinine. The alkaloids contained in cinchona bark are powerful drugs and any person taking cinchona should be under medical supervision. Note that ingestion of pure cinchona bark can be fatal. An early sign of toxic dosage is tinnitus (ringing in the ears). Woodward, R. B., and W. E. Doering. J. Am. Chem. Soc. 1944; 66,849. Achan, J., A. O. Talisuna, A. Erhart, A. Yeka, J. K. Tibenderana, F. N. Baliraine, P. J. Rosenthal, and U. D’Alessandro. Quinine, an old anti-malarial drug in a modern world: role in the treatment of malaria. Malaria Journal 2011, 10:144. Hollman, A. Plants in cardiology: quinine and quinidine. Br. Heart J. 1991 October; 66(4): 301. Bohórquez, E. b., M. Chua, and S. R. Meshnick. Quinine localizes to a non-acidic compartment within the food vacuole of the malaria parasite Plasmodium falciparum. Malaria Journal 2012, 11:350. Aronoff, D. M., and E. G. Neilson. Antipyretics: mechanisms of action and clinical use in fever suppression. Am. J. Med. ; September 2001; 111(4): 304–315. Vedula, A., M. Sowjanya, N. Srinivasan. Screening for antimicrobial activity of Cinchona officinalis: A possible alternative in the treatment of non-nosocomial infections. Unpublished paper: Sri Sarada College of Pharmacy, India. Skogman, M. E., J. Kujala, I. Busygin, R. Leinob, P. M. Vuorela, and A. Fallarero. 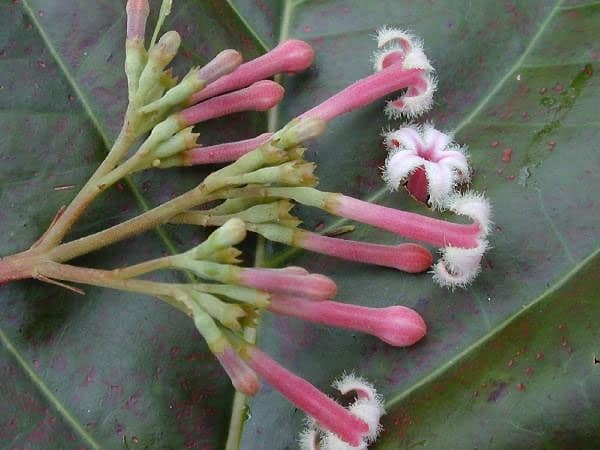 Evaluation of antibacterial and anti-biofilm activities of cinchona alkaloid derivatives against Staphylococcus aureus. Prod Commun. 2012 Sep; 7(9): 1173-1176. Diener, H. C., et al. Effectivenss of quinine in treating muscle cramps: a double-blind, placebo controlled, parallel group, multicentre trial. Int. J. Clin. Pract. 2002 (56(4): 243-246. World Health Organization (WHO): WHO Guidelines for the Treatment of Malaria. WHO Press 2nd edition. 2006, 108-110. ISBN 978 92 4 154694 2. Dogwood is a close kin and works about as well…. I use it when (and only when) I need to. I used to take a drug called Quinine Sulfate for body cramps, but then they outlawed if for anything other than Malaria treatment. So I have been using a form of the bark for cramps for years, It is from “Hyland’s Leg Cramp” medical tabs. It is the only source that has been successful in treating my cramps. Not only in the leg but the hand, side, tongue. legs, feet etc. When I stop taking the pills I get disabling cramps. I also have AFib And so far have not noticed any symptoms that change when I take or don’t take the tablets.